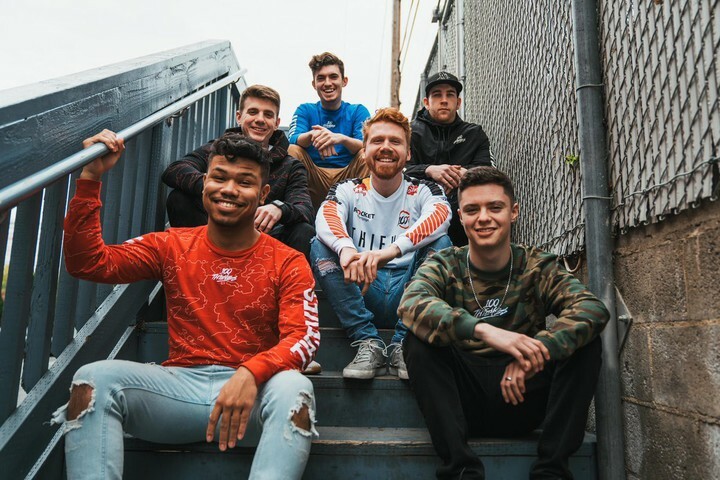 Kenny and Enable: "When you get an offer from 100 Thieves, you take it"
After ﻿100 Thieves﻿ were eliminated from CWL 2019 Fort Worth contention, ﻿Kenny﻿ Williams and Ian “﻿Enable﻿” Wyatt spoke to Upcomer about their top four finish at the major. The roster entered the first CWL event of 2019 feeling like they could claim first place against a strong field. For this squad, there was no doubt they were on precipice of forming a dynasty in the world of Call of Duty. Then, disaster struck Preston “﻿Priestah﻿” Greiner. Minutes after clocking up 50 kills against ﻿Enigma 6 Group﻿ Group on the final day at Fort Worth, and with the team leading 5-1 on Search and Destroy, 100T’s flex star dropped his controller and threw up on stage. For a team built around their skill and talent together, losing such a dominant player was particularly unfortunate. After battling through four straight series in the lower bracket, and finishing the E6 clash 3-1, 100T’s journey at Fort Worth was going to end. 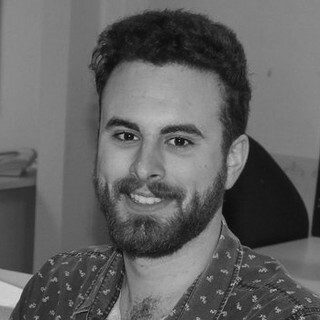 Former starting player Maurice “Fero” Henrique stepped in for the ill Priestahh, but it wasn’t enough to boost the squad further in the tournament. Despite claiming a map, 100T fell 3-1 to Team Reciprocity and tumbled out of championship contention at the Fort Worth Convention Centre. You’ve come out of Fort Worth with a top four finish, battling your way through the lower bracket in four straight series. How do you feel the tournament went overall, especially considering it nearly ended for you in the group stage? Enable: I don’t think any of us were satisfied, but we weren’t angry either because we couldn’t control what happened [with Priestahh]. We still went out and played great. After groups, we were disappointed because we got knocked into the losers bracket off a tiebreaker. After experiencing that, I think the system needs to be changed to a bracket style, especially if there’s only going to be four teams in each pool. Kenny: After knowing we were going to the loser bracket, which we knew on the third map against E6 in pools, we all sounded very devastated. At the same time we looked at it as a positive day and took that into Saturday and Sunday in the Championship rounds. After you had that tiebreaker you had that deep run, and really came within touching distance of the grand final. I know Priestahh was ruled out, but does getting fourth before that fill you with confidence at all? K: I don’t think this top four finish gives us any confidence. I think the “what if Priestahh was playing” question and the way we were playing up to that point gives us confidence. E: I wouldn’t say the top four finish gives us confidence either, I believe if Priestahh didn’t get sick then we would have been in the grand final easily. That’s what gives me confidence heading forward, because I know exactly what we’re capable of. Rewinding the clock a little, let’s talk about the move from Team Kaliber to 100 Thieves. Off the back of first place in Pro League 2018 Stage 2, and a runners-up finish at the World League Championship, what decisions led to you guys both pulling the trigger on the roster switch? K: So during the whole 2018 season, [Matthew “Nadeshot” Haag] was showing signs of wanting to pick up a CoD roster, and knowing that throughout the season, I knew that was the org I wanted to join. Added to that, I got to play with some of my teammates from that year, so that was good too. E: For me it was being able to play with my teammates from the year before, already having that chemistry going into a new game is very important in my opinion. Now that you’re with 100 Thieves, you’ve been flying high in the Pro League. After a few results went against you in February, you’ve turned around and recorded a four-game win streak. Do you think you can continue that streak heading further into the competition? K: I definitely think we can, because our team is starting to click like an actual team. That’s scary with the amount of talent we have. E: I definitely believe we can continue our streak, we are really starting to hit our stride as a team and I think we’ve shown that we can beat any team that matches up against us. 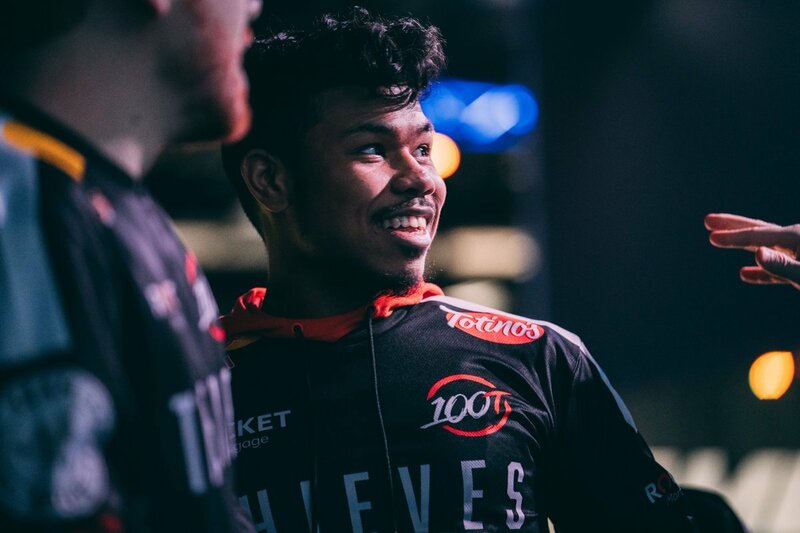 Speaking of the amount of talent on the roster, there’s talk of the potential for 100T to form a dynasty. This began when Austin “SlasheR” Liddicoat and Enable joined last year. Now that you’ve added Priestahh and James “Crowder” Crowder, do you believe 2019 can be the first step towards that long term goal? E: I definitely think so. I believe we have four of the top 15 players on our roster right now, and no other team can really say that. With the addition of Crowder as org coach as well we have started to play as a team instead of as individuals just doing our own thing. If we keep improving at the pace we are I think we’ll be in a good spot. K: I definitely think so, too. 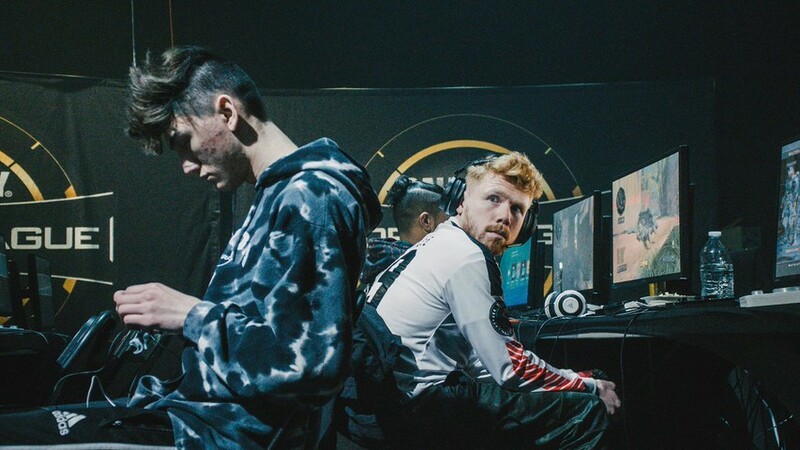 Our team is already being looked at as this all-star team in the scene, and we all know with the addition of Priestahh and Crowder we can actually win. That’s the first step in forming a new dynasty. Talking about 100 Thieves a bit now, what’s it been like joining the org? What’s your favorite parts of the team? K: It’s definitely a different experience for me because Team Kaliber was my first really big org, and over there were really just looked at as this ‘investment’ for the team. 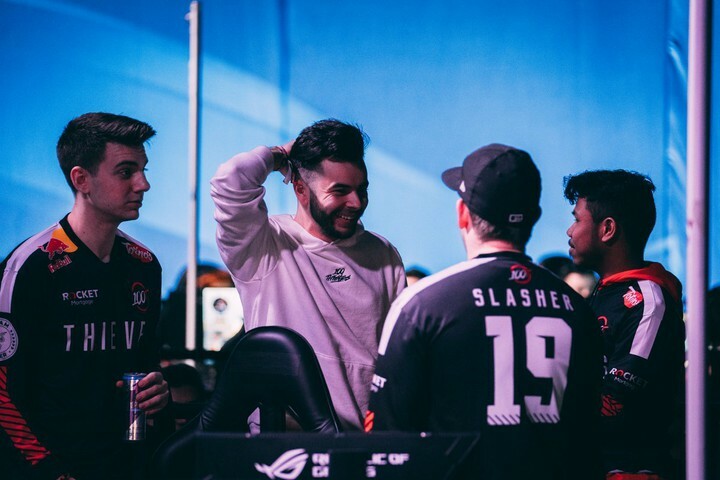 Here with 100 Thieves there’s a different feeling, and it’s more like a family with how much everyone that’s a part of the org is invested, both emotionally and physically in attending tournaments. My favorite part is absolutely the apparel, because it’s straight heat! E: 100 Thieves have been unbelievable. This is by far the best organization I’ve been a part of, they have been great at doing anything we need to help with our practice, brands and everything. They all want us to succeed and really make ourselves a brand, which I think is my favourite part. Not many organizations care like 100 Thieves does. Kenny, when the Pro League wrapped up in Stage Two last year, you were crowned the stage’s Most Valuable Player. Has the fact that you had that massively dominant season played on your mind at all this year? Do you want to potentially aim to grab that individual title again? K: Yeah, I’m always reminded about that countless times this year from the CoD community and from everyone in Twitch chat. There’s a lot of hate and interest around it, but I just look at the trophy sitting on my desk and use all the hate as motivation because I know I want to be back at that form as well. That said, I don’t really care for that title until my team is winning. And Enable, in 2018 you played alongside Kenny and Fero with TK, but they made that move to 100 Thieves a month before you joined with SlasheR. What was that like for you, and how did you feel when they asked you to join Nadeshot’s org? E: I had known they got the offer before, so there weren’t any hard feelings from my side or anything like that. When you get an offer from 100 Thieves you take it, 100 percent, so they definitely made the right move. A month later I was weighing up my options and they said they wanted to team again. I couldn’t turn down playing with teammates I’d had a lot of success with before. Now finally, I know the World League Championship is still a long way on the horizon, but considering you guys both claimed silver place behind Evil Geniuses last year, does the idea of going one step further and lifting the trophy with 100 Thieves motivate you guys? E: No question, I want that more than anything. Obviously I want to win every event I go to, but that one just means a little bit more. K: The idea of winning the championship motivates me a lot because last year was my first time at champs and I was just six maps away from taking it home. Knowing that I’ll be going into this year’s champs with this all-star roster gives me nothing but motivation and confidence.